We’re pleased to welcome the Baby Pod 20 to the Baby Pod range. 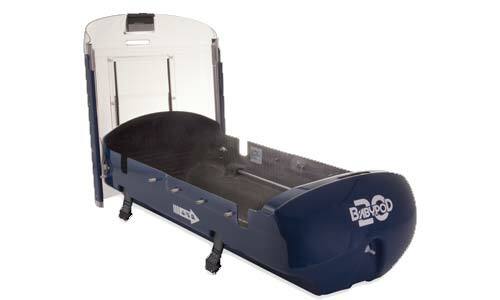 Our original flagship product, the Baby Pod II Infant Transport Device, was developed to fulfil a requirement for a safety-focused, easily manageable solution for inter/intra-hospital transport of neonates, and provide a lightweight and cost-effective solution for when a full transport incubator is not required. In 2017, we launch a new evolution of the Baby Pod, incorporating over a decade of user feedback and advances in design and material technologies, to provide an even lighter, even stronger and safer way to transport small infants and newborns. The Baby Pod 20 is the culmination of two years of development between Advanced Healthcare Technology Ltd. and Williams Advanced Engineering, with the aim of incorporating new technological developments and user requested features from the past 15 years of experience with the original Baby Pod II, and to bring to market a Baby Pod Infant Transport Device to meet the challenges of transporting infant patients in 2017, and into the future. The new Baby Pod 20 features many of the same qualities and features of it’s predecessor, but improves upon them in key ways. The most striking di erence being the completely re- engineered viewing lid. The viewing area in the Baby Pod 20 is larger and clearer than ever before, giving better visibility of the patient, particularly in restricted environments such as the interior of rotary or xed wing aircraft where space is at a premium. Due to the nature of the Baby Pod being used increasingly for air transport, the limitations of the original Baby Pod II lid opening mechanism became increasingly apparent. It’s outwardly opening lid sections not being convenient when operating in a tight space being a key challenge to overcome when designing a new evolution of the product. To meet this challenge, the entire front section of the Baby Pod 20 viewing lid now slides backwards over the rear section, giving unhindered access to the upper torso and head of the infant patient without increasing the height or width of the Baby Pod 20 whatsoever. A natural evolution to this concept sees the entire viewing lid then fold backwards over the rear of the Pod, allowing access to the entire patient compartment, with no obstructions from either side of the unit. A feature critical where monitoring or ventilation equipment is placed necessarily by the side of the unit. 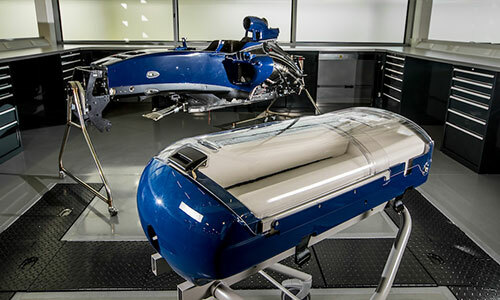 Continuing the AHT tradition of taking technology from outside medicine and finding applications within it, this new strapping system features high-tensile webbing typically found in motorsport and a metal quick connect buckle used in aviation, making it the most secure strapping system ever featured on a Baby Pod model. The new strapping system will now withstand up to 9kN of force, exceeding the current European ambulance specfications to which the Baby Pod II already met. Inside, the Baby Pod 20 features the same shock-absorbent foam interior as the Baby Pod II, with removable, washable and autoclavable covers, now securely fastening directly to the inside of the carbon fibre shell. It also features our upgraded vacuum mattress, allowing the infant positioning strapping to pass directly through the mattress outer foil to better secure the mattress around the patient, making the most snug cocoon possible. A further new development comes by way of the Co2 evacuation system, originally pioneered in AHT’s Evac Pod model. A medical air supply can be attached to the inlet on the front of Baby Pod 20, which then, using low-pressure and jet ow and mixing principles, draws any carbon dioxide that may have layered at the base of the unit, out of an exit valve on the underside of the shell. 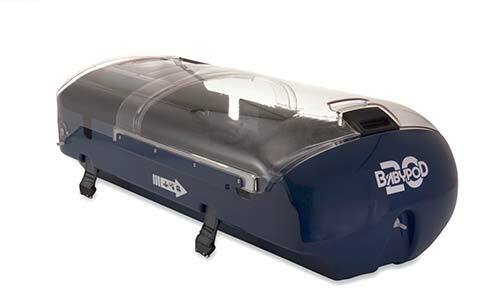 This in turn draws clean ambient air into the patient compartment via the patient access port in the viewing lid. We’re confident that the Baby Pod 20 is a strong step forward for the Baby Pod range, offering improved patient access and visibility both during transport and in hospital, an even lighter weight, and a stronger fixation system, satisfying ever increasing industry standards for medical device fixation. Please get in touch using our contact form for more information or to arrange a demo.